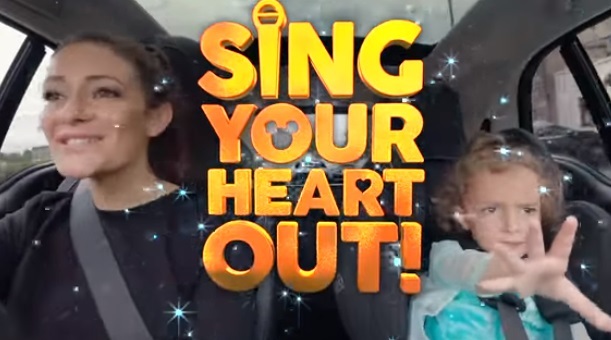 UMOD invites you to sing-along to all your favorite Disney songs with the brand new album “Sing Your Heart Out Disney”, advertised in a new TV spot. The album features hits from Moana and Frozen, as well as classics from The Lion King, The Little Mermaid, Aladdin and many more, and also includes bonus sing-along tracks and lyric booklet. The songs used in the advert are “Let It Go” from “Frozen”, performed by Idina Menzel, “How Far I’ll Go” from “Moana”, performed by Auli’i Cravalho, “You’ve Got a Friend in Me” from “Toy Story”, performed by Randy Newman & Lyle Lovett, “A Whole New World” from “Aladdin”, performed by Brad Kane & Lea Salonga, and “I Just Can’t Wait to Be King” from “The Lion King”, performed by Jason Weaver & Rowan Atkinson & Laura Williams. The album, consisting of three CDs with 72 tracks, including instrumental versions, was launched on October 19th and is available for purchase as MP3 for £8.99 and as Audio CD for £9.99.